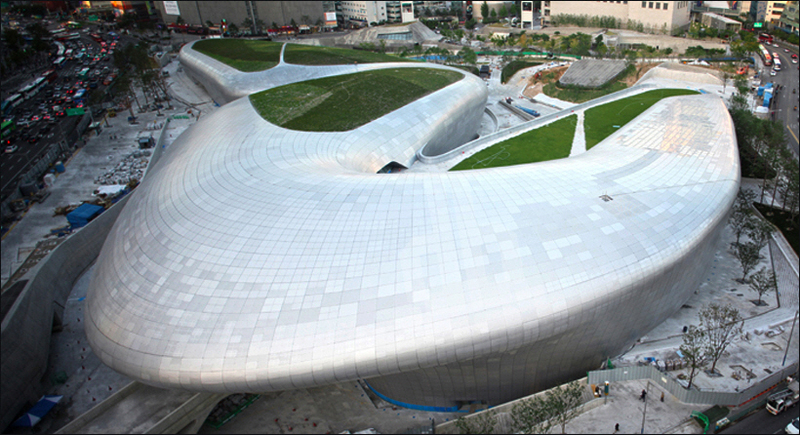 Dongdaemun Design Plaza is architect Zaha Hadid’s sleek concept dubbed the ‘Metonymic Landscape’. The building, a curvaceous concrete structure with a silvery facade partly coated with lawns that rise up on to its roof, is a showcase for Korean and international design. It comprises multiple undulating levels of galleries, exhibition spaces, design shops and event halls. The attached Dongdaemun History & Culture Park includes museums that highlight past uses of this area, such as a 16th-century military camp. During the site’s excavation, major archaeological remains from the Joseon dynasty were uncovered, including original sections of Seoul's City Wall. The remains have been incorporated into the park and include the arched floodgate Yigansumun. The Dongdaemun History Museum imaginatively displays the pick of the 2575 artefacts from the site and provides the historical background to the ancient foundations preserved outside. Look for the patterned section of pavement made from clay tiles. The Dongdaemun Stadium Memorial relives key moments from the stadium’s history and includes video clips. The Dongdaemun Shopping Complex is one of Korea’s most well-known markets. It was founded in December of 1970 as the largest of its kind in Asia and has maintained that status for the last 40 years. 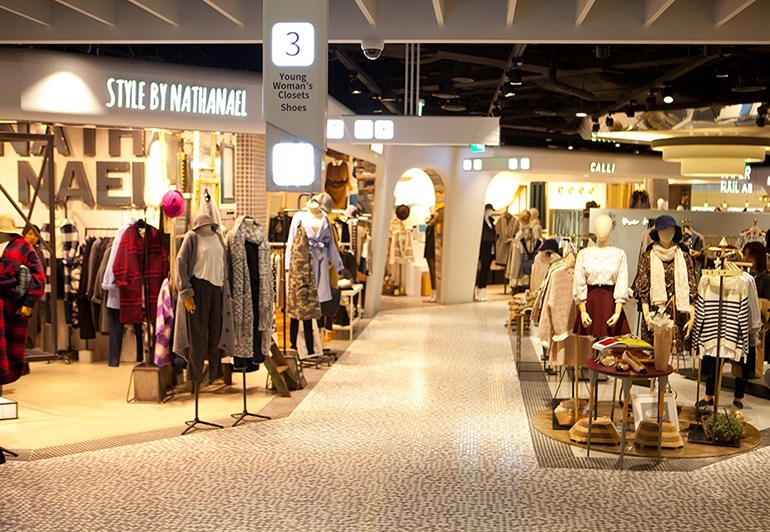 Browsing the plethora of shops, you can find fabric and clothing for all the latest global fashion trends. The Dongdaemun Shopping Complex is now now also building up its reputation as a hub of international design. * Food Court of Singwan Building opens partially.